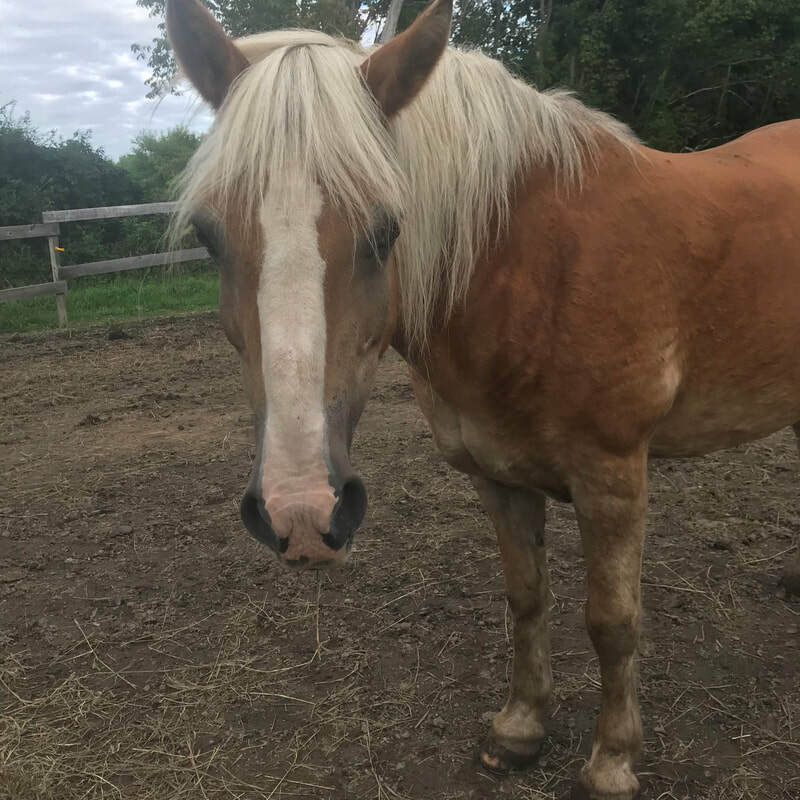 Horses - ALBANY THERAPEUTIC RIDING CENTER, INC.
​Teddy is a 27 year old Haflinger gelding, and is one of our wonderful lesson horses! Teddy was ATRC's main lesson horse in the past. Despite his oddities and unique tendencies, Teddy is a sensible and very good boy who loves all the attention he can get! He is very trustworthy and dependable, and definitely a farm favorite with our riders and volunteers. As a lover of food, Teddy does not discriminate and makes sure to lend the volunteers a hand by ensuring that his paddock is free of dropped food. He also loves his mud puddle. As for his dislikes... not knowing what is in the bucket. What bucket you ask? All the buckets. ​Elsa Marie is a 20 y/o Haflinger mare who is full of sugar, spice, and everything nice. Elsa is sweet yet sassy and makes it known that she marches to the beat of her own drum. Elsa is used for lessons with more independent riders who want to build an emotional connection with a horse. She is very sensitive to the rider's energy and strives to please everyone. Elsa loves all of the treats and all of the scratches, especially on her neck and chest. She is a little sensitive to the bugs in the summer and tends to get a little itchy. After spending a little time to get to know Elsa and her sensitivities, a rider will definitely find a friend for life. Montana is a 26 y/o chestnut Quarter Horse gelding and is owned by Miss Taylor, our Riding Instructor! Montana is a rockstar lesson horse, he has been teaching people of all ages and abilities from their first lesson to their first time cantering. Montana is the sweetest, he loves all things peppermint and loves the occasional potato chip (even though we've told him plenty of times that potato chips are not for horses.) Any time he hears packaging crinkling, he will be right in your pocket. He also enjoys rolling in the dirt after every bath he gets, which does not make Taylor or Niina super happy, but it makes him happy so that's all that counts. Montana is blind in his left eye, but you could never tell! He navigates his environment like a champ, but he might bump you with his nose to find you if you are standing on his left side. ​Mr. Tee is our resident old man, he is an aged OTTB, ( we think he is in his early 30's). 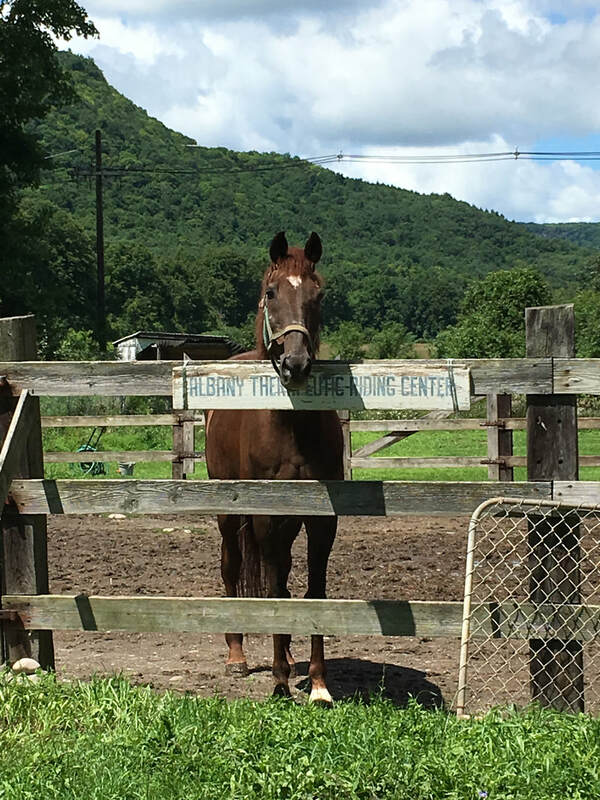 He is a gentle and sweet boy who is living out his retirement years at Albany Therapeutic Riding Center. 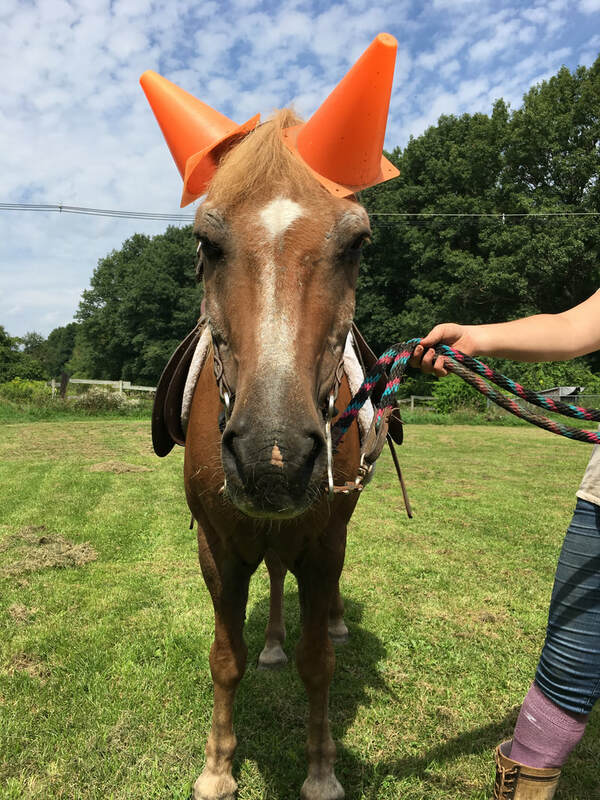 Occasionally, Mr. Tee is used for unmounted grooming lessons for those who may not be able to ride safely and who need a gentle soul to connect with on the ground. Mr. Tee loves watching the deer graze in the back hay fields and kicking up his heels frolicking in the back pasture. Due to his age, once he has run around the back field for an hour or so, he tends to spend the rest of his day napping and eating snacks. Make sure to stop by Mr. Tee's stall to say hello when you come to the barn for your lesson! Big Brown is the farm ambassador, he will greet any and all guests as they make their way down to the farm. Brown is the biggest, friendliest cat and will be in your lap in a second if you give his ears a scratch. Brown enjoys most foods, including pizza, although we try to convince him that cat food is better and stealing people food is rude. Brown thinks that batting his big eyes at the people with food makes everything better.